Barcelona will host Manchester United at the Camp Nou in the second leg of their Champions League quarter-final clash tonight. It goes without saying that the match will affect the campaign of the two teams and remains the most anticipated fixture in the quarter-final stage of the Champions League this season. The Red Devils need to win by a two-goal margin to progress, following their 1-0 loss in the first leg, while the Blaugrana will be hoping for another positive result after winning against Manchester United at Old Trafford for the first time in their history. Barcelona will hope to keep going on their path to another historic treble, whereas the Champions League is the only trophy United can win this campaign. 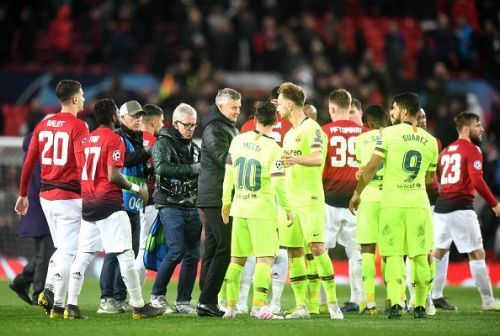 It goes without saying the Red Devils have improved a lot under Ole Gunnar Solskjaer but they might find it difficult to win at Nou Camp. Ernesto Valverde will be wary of United's ability to pull off a comeback, and all these points towards another thrilling encounter. Without further ado, let us take a look at three players who can take the centre stage and tip the balance in favour of their side. 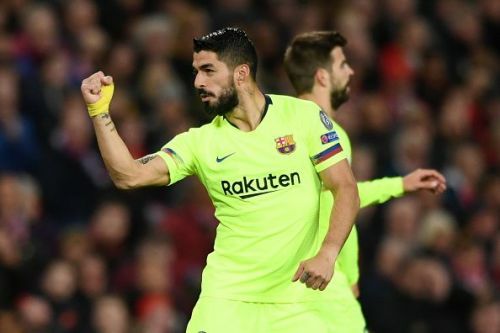 Many criticised the Uruguayan ace at the start of the season but Luis Suarez has shut all his critics up by performing in almost all the big matches this campaign. Despite losing a bit of his pace and agility up front, the 32-year-old has racked up 23 goals and 12 assists in all competitions in the current campaign. Suarez is yet to open his mark in the Champions League this season but that won't be a relief to United. The Blaugrana striker played a huge part in Luke Shaw's own goal at Old Trafford and will be desperate to prove his naysayers wrong by popping up at the right time at the right place for his team. There is no doubt that Suarez loves big occasions and tough opponents, and he has mastered the art of scoring in big matches. Most teams, including Real Madrid, will say the same.